Fuel can be very dangerous, in particular petrol, the last thing you want on your boat is a fuel fire – or even worse an explosion. Please consider these points below and rules that are pertinent to your location to keep you, your family and other boat owners safe. 1. You must ensure you observe your mooring location or marina rules for refuelling. Regardless to your attention to safety – you may need to comply with their guidance and rules. 2. It is good practice to keep the vapour of petrol away form the inside of your boat or engine bay – keep all windows closed, engine turned off and engine bay closed. All electrical items should ideally be turned off too. Do not carry out any other activities whilst re fuelling and preferably, get everyone of the boat during refuelling – just in case. 3. Always use funnels for re fuelling form canisters or containers. Our funnel filters are also useful to check fuel from pumps before filling the tanks full. 5. Before resuming normal activities and starting the engine, ventilate the boat, use bilge blowers and check for any leaks. 1. 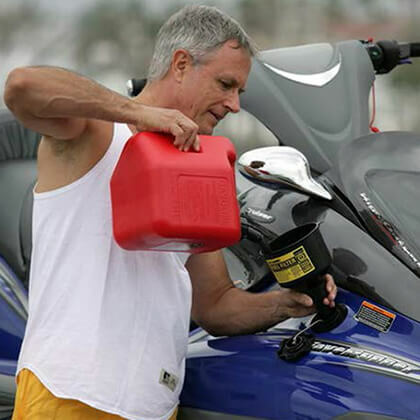 Avoid refuelling onboard the boat – just in case. Take to a safe or nominated place in your marina. 2. Never fill a hot generator or outboard engine with petrol or diesel. Allow to cool first. 3. Before restarting, check for leaks. 4. Always fill to the maximum mark and never above. 5. Check the air vent is working correctly on the fuel tank lid. 6. Never over fill the Mr Funnel Fuel filter and funnel – it could cause a serious fire. 7. Pour the fuel slowly into small tanks – they fill up very quickly. 8. It is good advice to have a fire extinguisher to hand when re fuelling. 9. 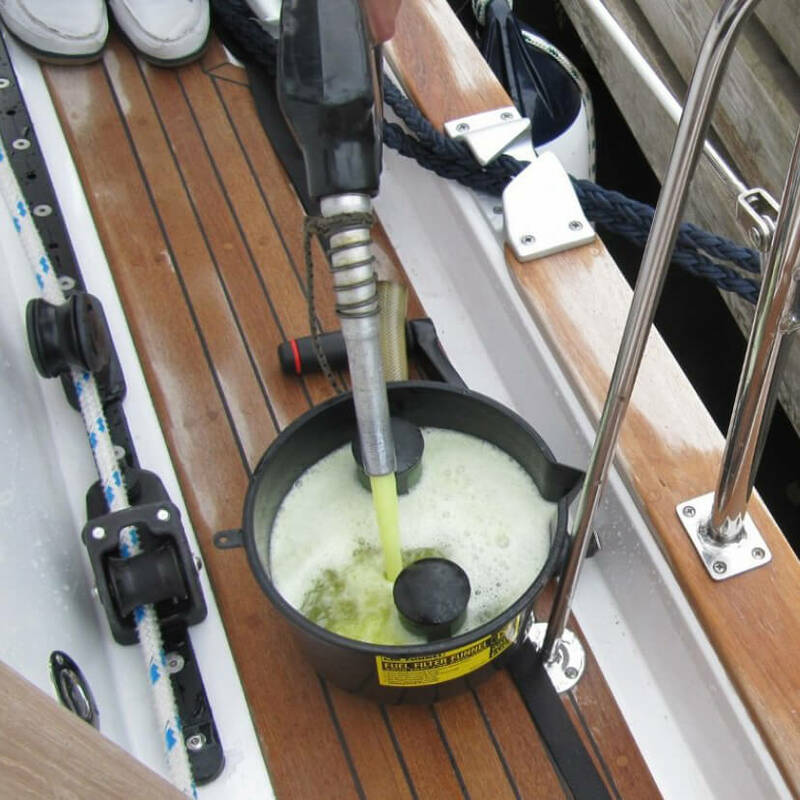 For safety of everyone – report any fuel spillages in the marina or slipway.Your boat should meet certain safety standards with fuel and gas on board, it is your responsibility to find advice and comply with them. Whilst it may not seem important, if the basics are not complied with you may find your insurance is not valid.